All Saints has gone Google! G Suite for Education (formerly Google Apps for Education) is a suite of free, web-based programs that includes email, document creation, shared calendars, and collaboration tools. 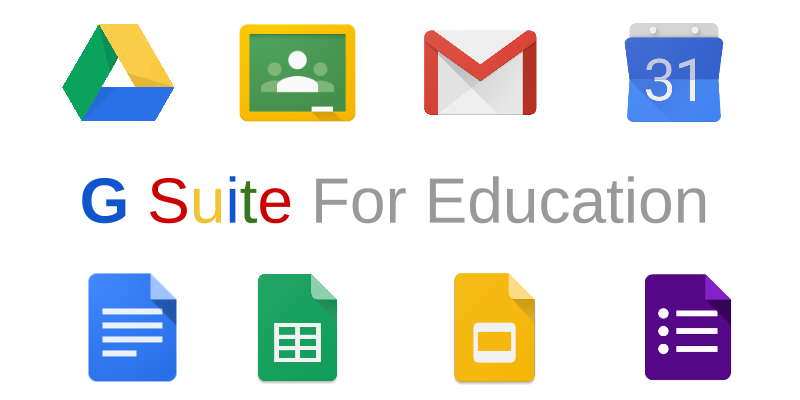 All Saints Catholic School has established a G Suite for Education account to support teaching and learning and to allow for easy sharing of documents, file storage, and connectivity within our school and classrooms. This service is available through an agreement between Google and All Saints Catholic School. This software will allow students and teachers to create, collaborate, and share documents, spreadsheets, presentations, websites, calendars, and more, allowing for flexible access from any computer - both at home and school - with Internet access and a web browser. While G Suite for Education provides for greatly enhanced flexibility over traditional desktop software, it also allows teachers and students to work in a safe, protected environment in a private domain (allsaintsjupiter.org) that is very closely monitored. While all documents are stored online, no one outside our school can access them. G Suite for Education will enable us to take a big step toward developing a paperless environment in our classrooms and promoting 21st century skills. Many high schools and colleges use G Suite for Education. We feel this is another step in preparing your child for the future ahead. All Saints began using Google Apps with teachers at the beginning of the 2013 school year. Google Apps was first piloted with 8th grade students during the fourth quarter of that school year. Currently, students in grades 3-8 have G Suite for Education accounts.